Current measurements were all made the same way, with the same equipment. 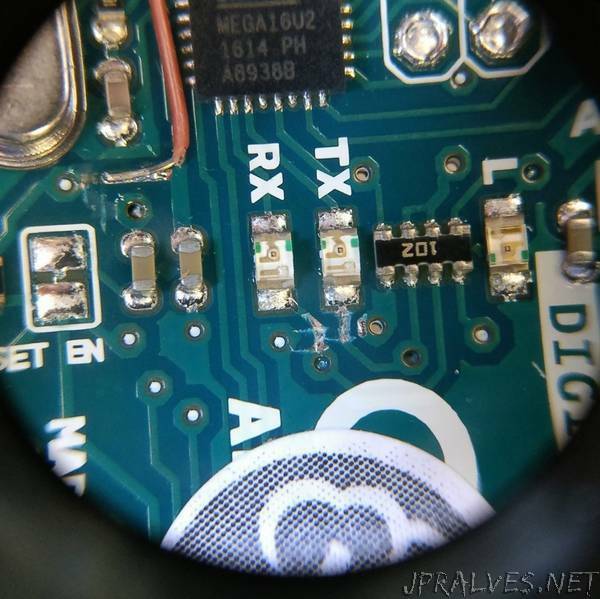 A “µCurrent Gold” was inserted between the 12V supply and the DC jack on the Arduino UNO on the 12V line. The same DC supply was used for all tests, a PowerPax SW4298D 12V, 2A mains to DC supply.